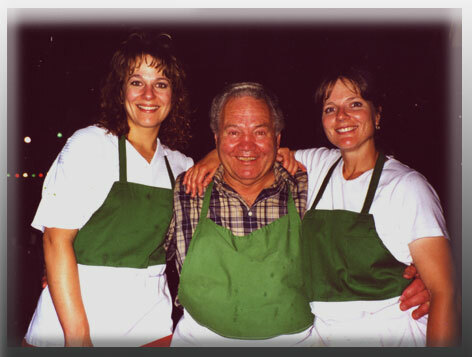 Twenty years ago, as busy as I was already, I jumped on the opportunity to lease an old butcher shop in Sonoma and established Angelo's Wine Country Deli. The owner, Bud Maffei, was retiring from cutting meat, so, I thought if tourists were exposed my superior products, it would probably work out. It was an instant success, My huge sandwiches, made with my home made cold cuts, sausages, and condiments, hit the bull's eye just about instantly. The Carneros winery had visitors flocking in from all over the Country and from San Francisco, to see our lovely countryside, to relax, and to drink wine, and what could be better than a great sandwich to wash down a great wine ( or vise versa)? But, what put the "frosting on the cake" of my newest business venture was the 2' x 3' plywood sign on the road (which, a Sonoma High School student/deli employ made) saying: "HOME MADE JERKY". 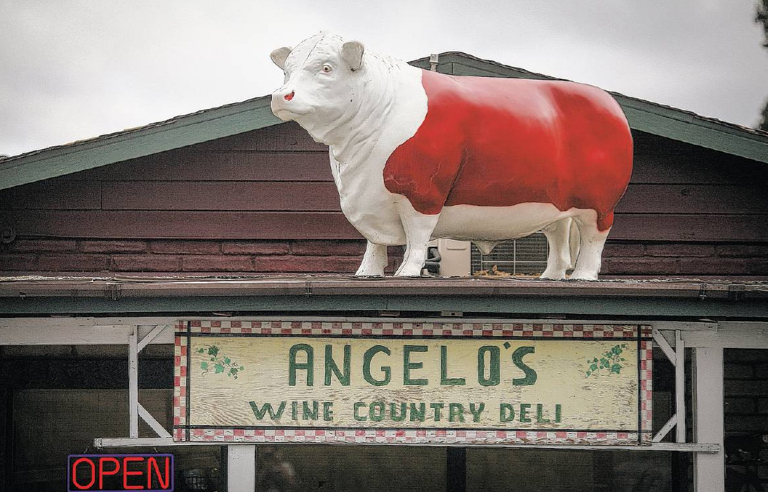 That sign, has stopped travelers at Angelo's since the first day it appeared, and that sign was what eventually made Angelo's name familiar to people world wide, This my friends, is a fact. I wouldn't be surprised if many of you reading this, are already familiar with what I just wrote. 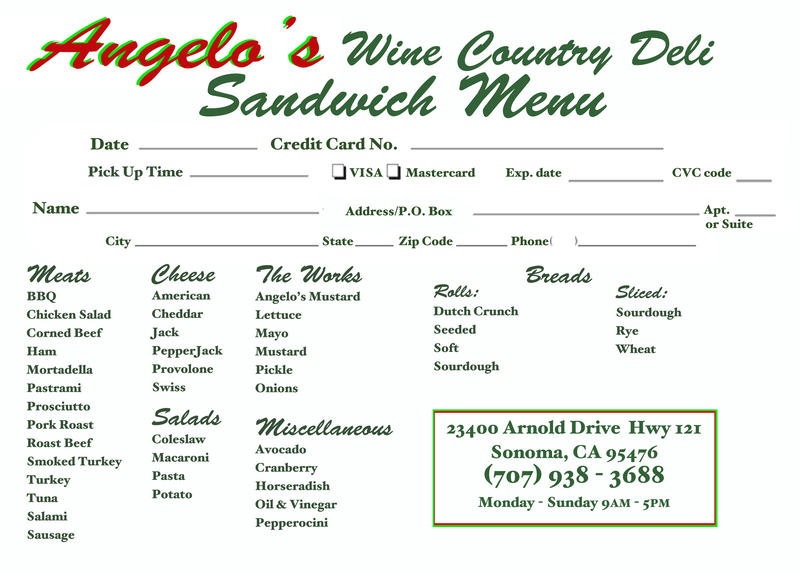 We're located at 23400 Arnold Drive on Hwy 121 in Sonoma which is about a half mile after the newest Jacuzzi winery, just across from Gloria Ferrer Champagne Caves, and believe me, Angelo's Deli is described by many as "the best stop they made in their trip!" We're always happy when you enjoy our food! If you'd like to order a sandwich from the Deli, here are your chioces. You can also download this form. Or you can call (707) 938 - 3688 and tell us what kind of sandwich you'd like.